Have a wedding no one will ever forget; organize a business meeting or team-building retreat attendees will be talking about for months. At Barnsley, we love weddings, meetings, conferences and retreats and will work with you to create a unique, memorable event that glowingly reflects upon you. 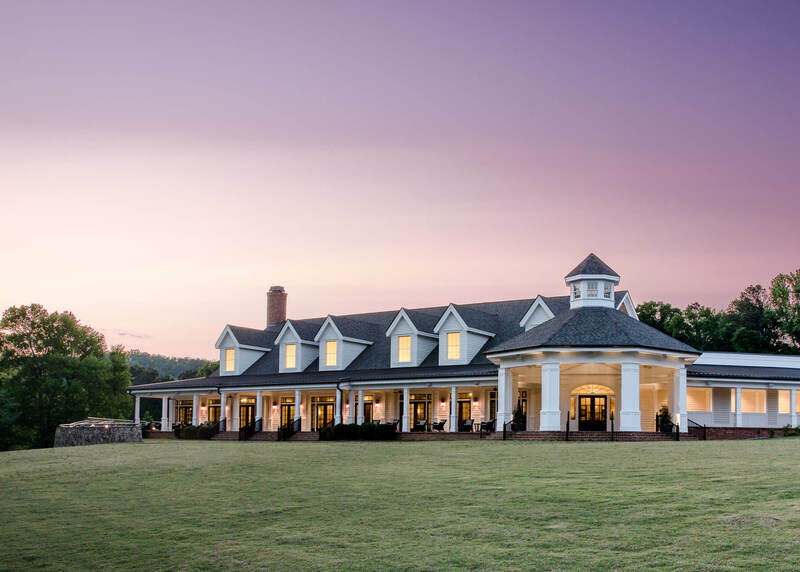 An hour north of Atlanta, the resort offers 3,000 acres, including 16,000 sq. 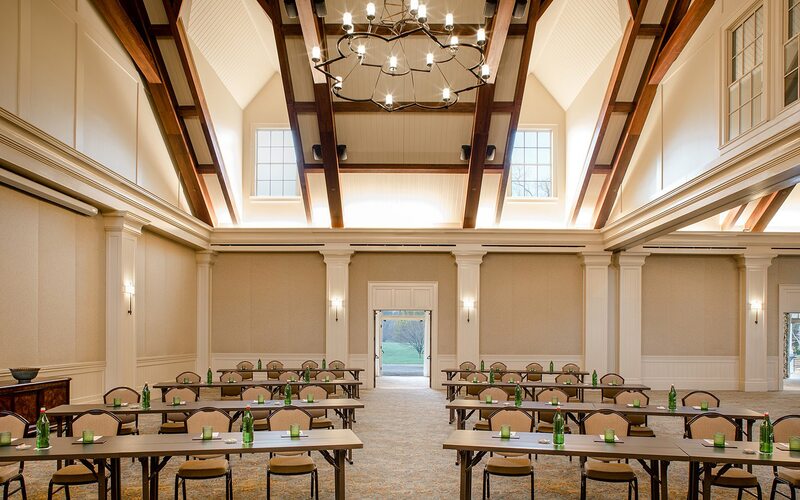 ft of indoor meeting and event space, of interesting locations for board meetings, championship golf course tournaments or even a 5,000 square-foot Savannah Ballroom for weddings or other occasions. Challenge your Barnsley Resort conference coordinator with your needs and ideas, or submit a request for proposal (RFP) for your meeting or wedding. 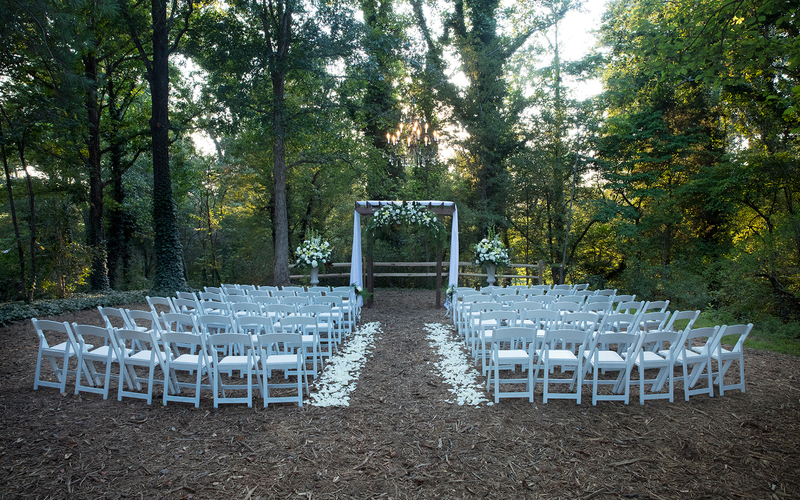 Please note that recommended capacities may vary depending upon the setup for specific events, particularly weddings. A special events manager can advise the best capacity suited to your specific event. With dormer windows, painted wood and an elongated porch, Georgian Hall is reminiscent of a charming antebellum home. 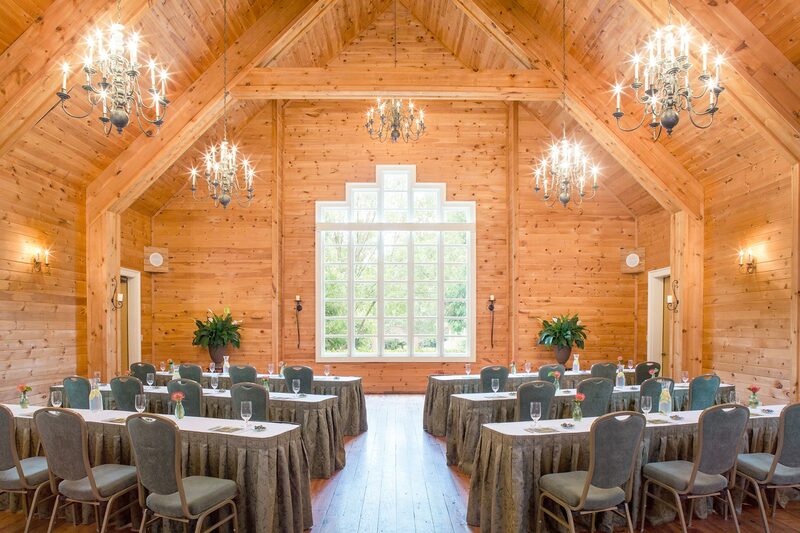 The Hall also has more than 9,000 square feet of indoor space and 8,350 square feet available outdoors, perfect to host corporate meetings, weddings and other special events in a picturesque location in the resort’s historic district. 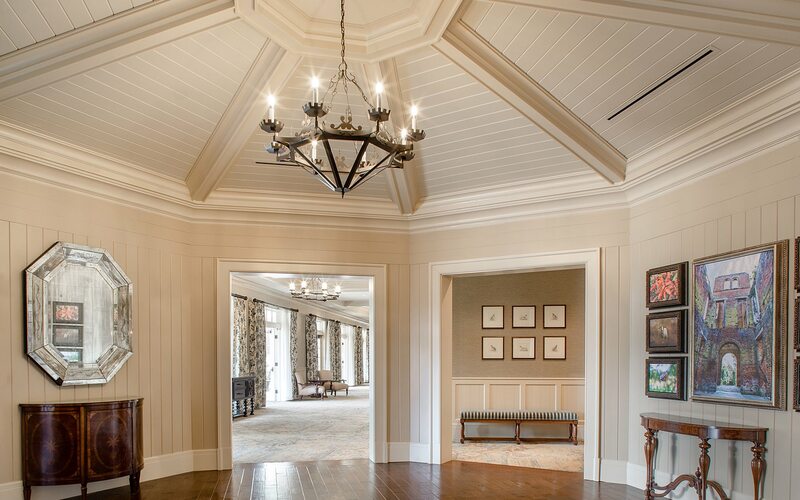 The addition of Georgian Hall brings the resort’s total indoor meeting space to 16,000 square feet. Guests attending meetings and events in the Georgian Hall enter through an octagonal rotunda area featuring a domed ceiling and inset display cases showcasing artifacts from the region. 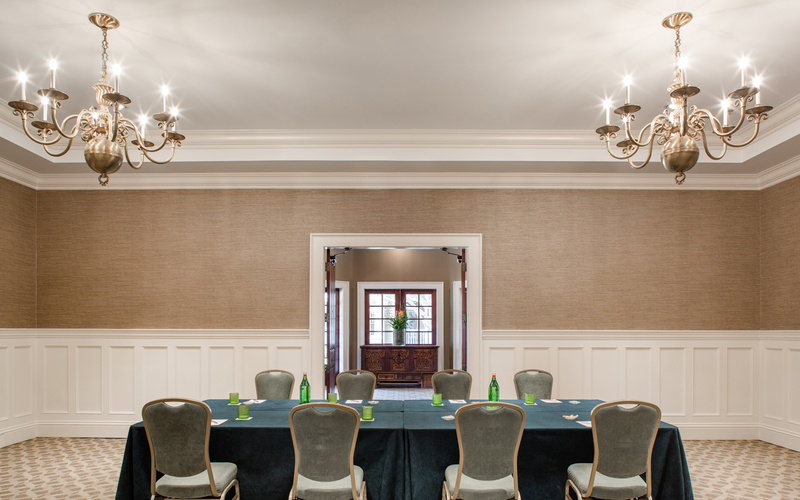 The 5,000-square-foot Savannah Ballroom hosts 240 to 500 guests for meetings or social gatherings. Look for vaulted ceilings with exposed, stained hand-scraped scissor trusses; painted millwork; dormer windows allowing in ample natural light; and a monumental floor-to-ceiling brick fireplace. 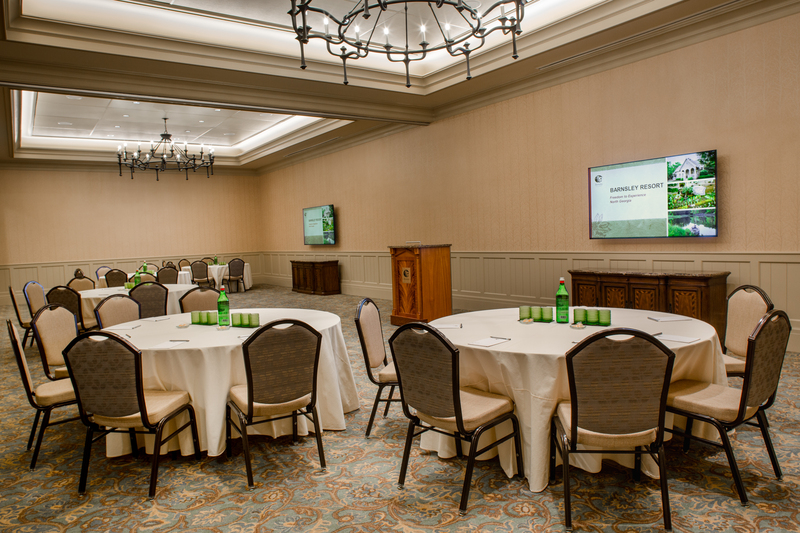 The Savannah Ballroom can be divided into two smaller event spaces, with 2,000 square feet of pre-function space leading into the ballroom. Total Size: 4,731 sq. ft.
Total Size: 1,856 sq. ft. 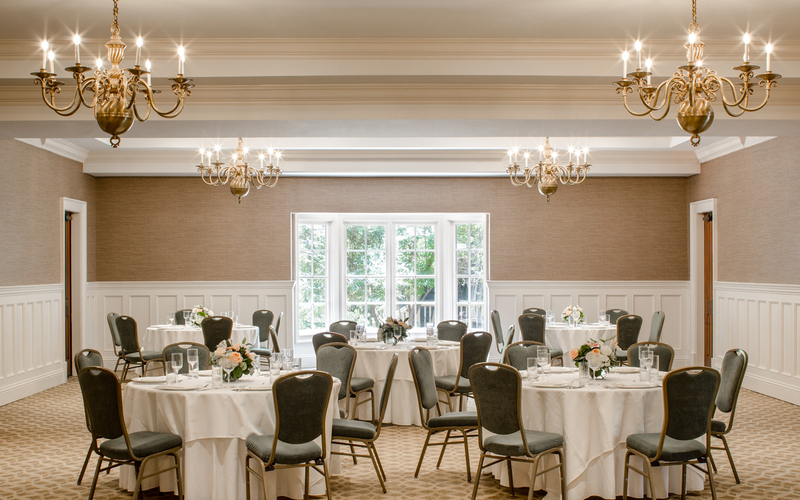 The Dalton Room features its own dedicated pre-reception area. The room can be divided into two smaller event spaces. Total Size: 1,344 sq. ft.
Total Size: 580 sq. 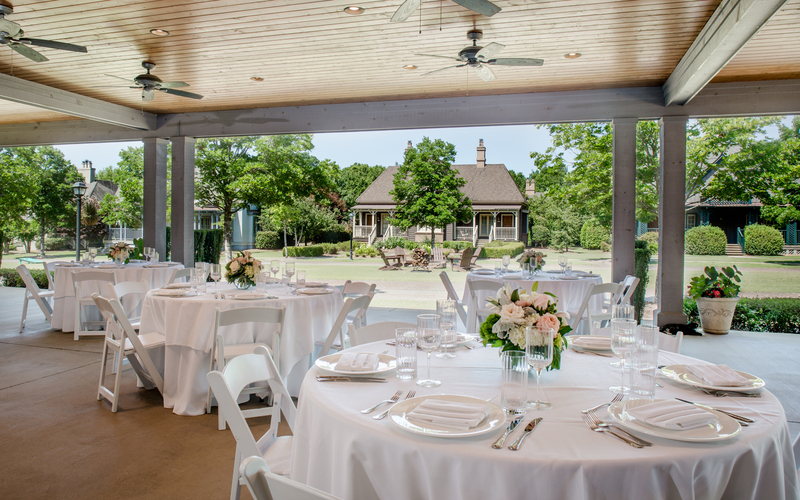 ft.
Offering a uniquely Southern experience, a covered veranda will be available for receptions and gatherings. 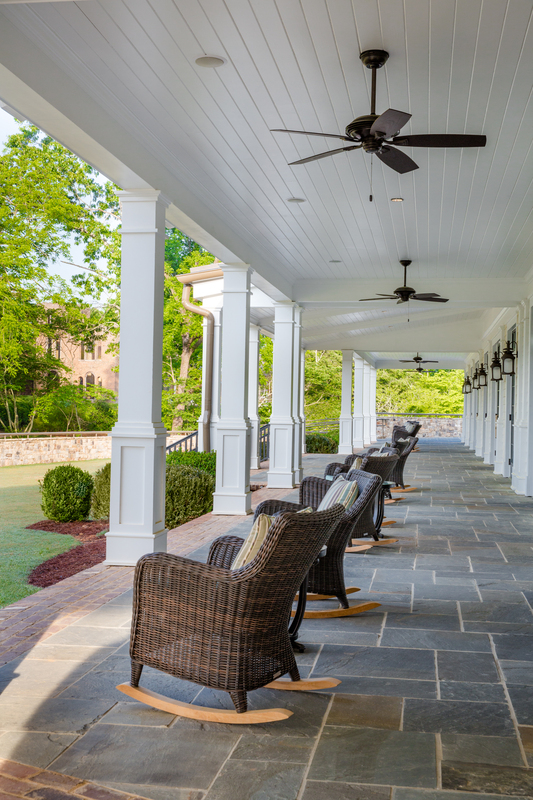 The veranda has sweeping pastoral views. Total Size: 2,700 sq. ft. The al fresco Savannah Terrace will offer dedicated outdoor space for up to 215 at one end of the ballroom. Total Size: 1,950 sq. 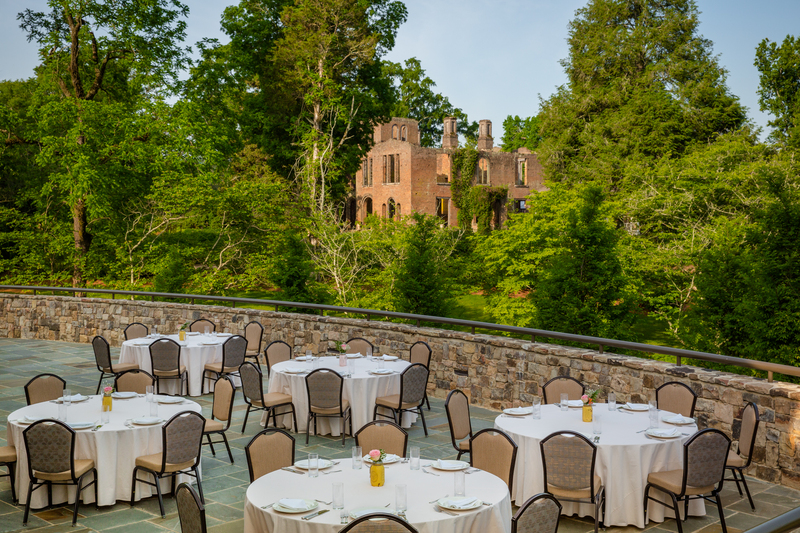 ft.
For larger outdoor events, the Estate Lawn is equipped with full lighting and sound capabilities for up to 300 for seated dining or 370 for receptions. The Lawn has prime views of the historic Manor House ruins. Total Size: 3,700 sq. ft. 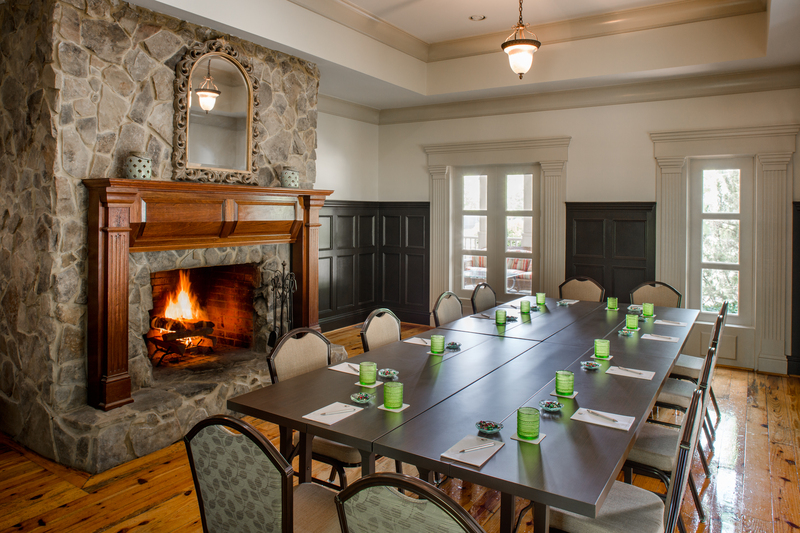 The 2,670 square foot Saylor Hall can be configured for a business conference, seminar or wedding reception. Total Size: 2,100 sq. ft.
Total Size: 570 sq. ft.
Total Size: 361 sq. ft.
Total Size: 180 sq. ft.
Total Size: 1,440 sq. 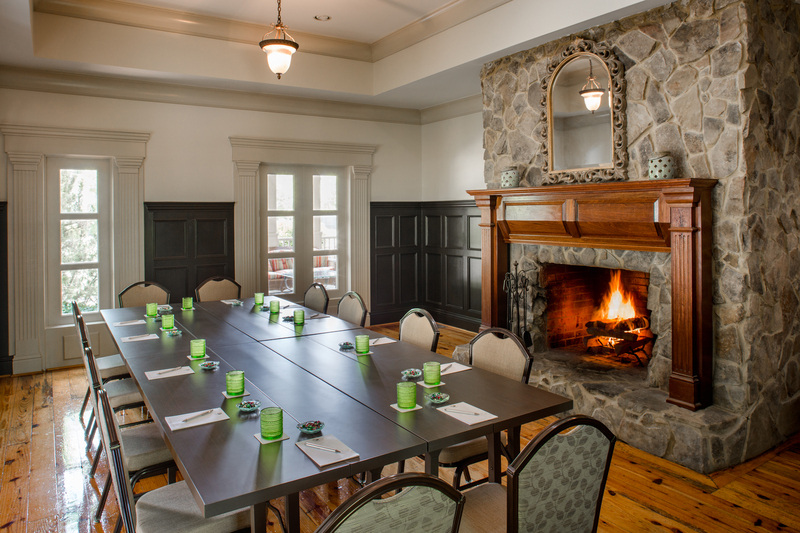 ft.
With high beamed ceilings, a cozy wood paneled interior and elegant chandeliers, Town Hall can be set up for a small corporate retreat, a seminar or conference. We can also meet all your technical needs. Total Size: 1,080 sq. ft.
Total Size: 408 sq. ft.
Total Size: 103 sq. ft. The Manor House Ruins are the remnants of the original 19th century Italianate villa built by Godfrey Barnsley for his wife Julia. A classic boxwood parterre garden leading up to the once grand manor home greets guests. An original and stately location for any event. Total Size: 961 sq. ft. 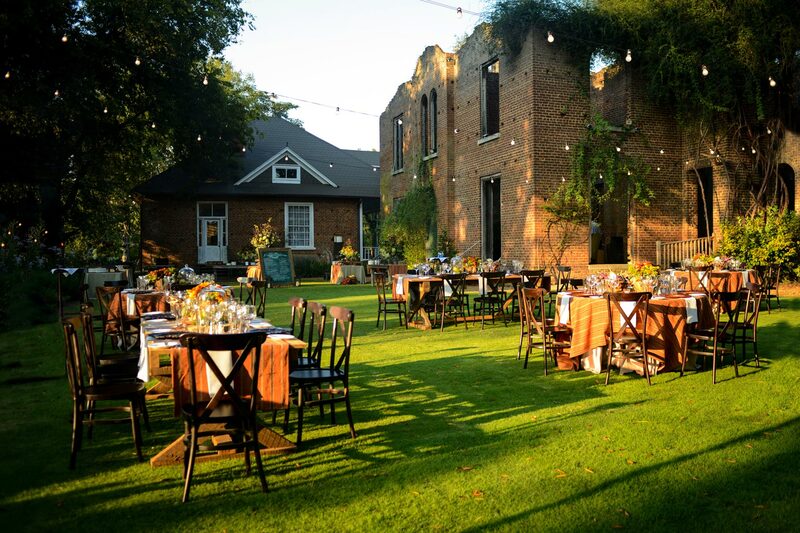 The open air Manor House Pavilion creates a permanent covered option for private events, receptions and ceremonies at the iconic Manor House Ruins. The exposed, stained timber beams are complemented by specialty brick chosen to match the existing Manor House Ruins for a seamless experience. Total Size: 3,740 sq. ft.
A lovely place for a ceremony or open-air event, this lawn is immediately in front of the charming Barnsley Museum overlooking the boxwood parterre. Total Size: 2,400 sq. ft. The pool offers a priceless view of the emerald fairways of our 378-acre golf course and is a relaxed and playful place to have a fun, casual event. 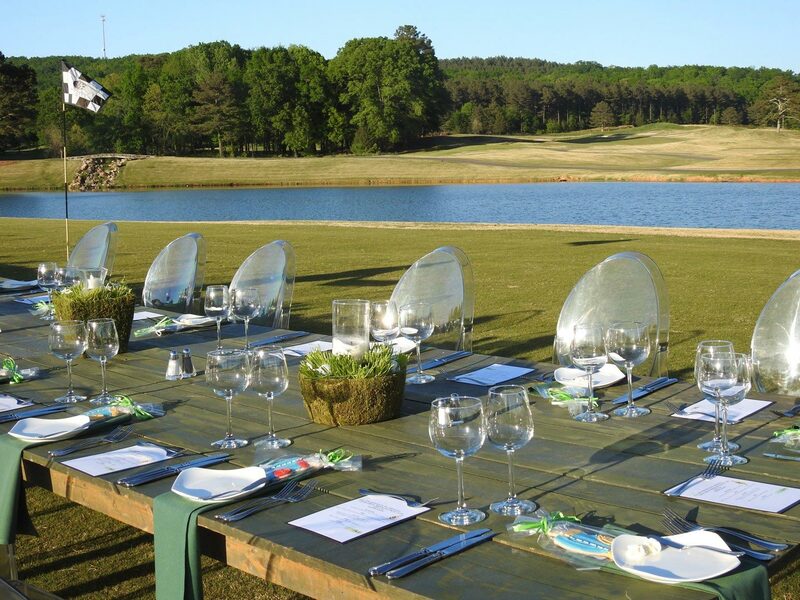 Dine under open skies overlooking peaceful ponds, rolling hills and open fairways on the Fazio Course. 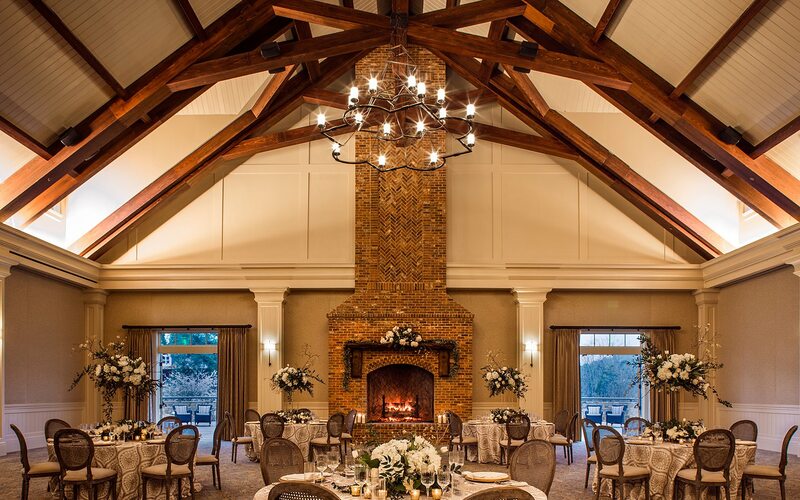 A stunning location for a wedding ceremony, reception or rehearsal dinner. 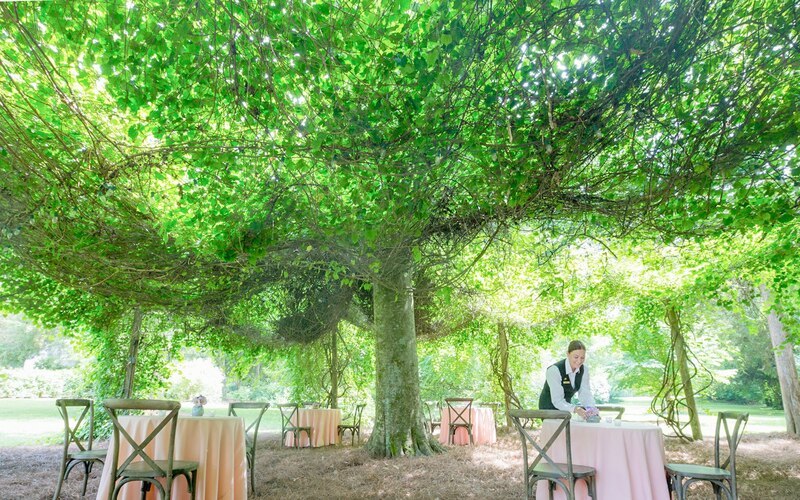 The meditation garden includes a canopied muscadine arbor as well as a bamboo grove (also a popular location for photos) and is a charming, enchanting location for any wedding event, family get togethers or other function. Total Size: 3,200 sq. ft.